Timeless beauty in a traditional Dirndl in blue. 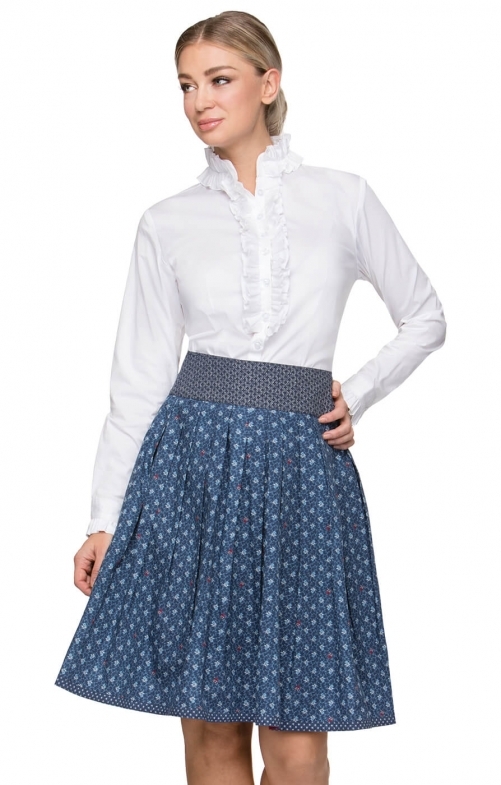 For classic style and flattering lines, try our traditional Hella skirt in trueblue print. The wide waistband defines the waist, and the sharp pleats that gradually fall out at the hem create a pleasing A-line shape. Contrasting prints at the hem and waistband are design details that make this skirt a standout at Oktoberfest.